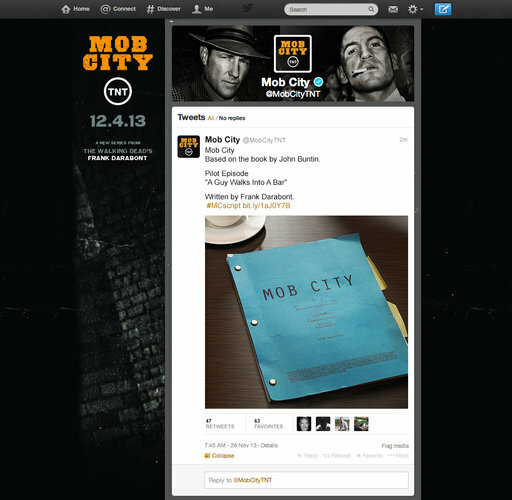 What better way to build anticipation for a show about the Mob (capital M) than to harness the power of the mob (small m)? Rich in relevant content, this is a program as ingenious as it is contagious, not the least because it recognizes and embraces a gospel truth that we at Bonfire have been preaching since we unfurled our tent close to three years ago – that the passion of the pop culture superfan is an enormously powerful promotional accelerant, one that must be handled thoughtfully and judiciously, lest it go up in flames. You can read the entire Times article here, but of particular note to us was this assertion by social media strategist and author, Rohit Bhargava. That’s a mob mentality we can fully support.